Santa & The Little Teddy Bear ~ Peter John Lucking. 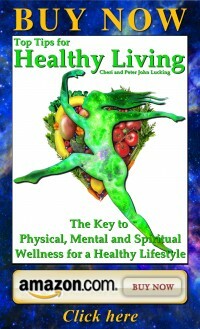 The Amazon List Price.$37.89 Our price is a 47% savings at $19.99. 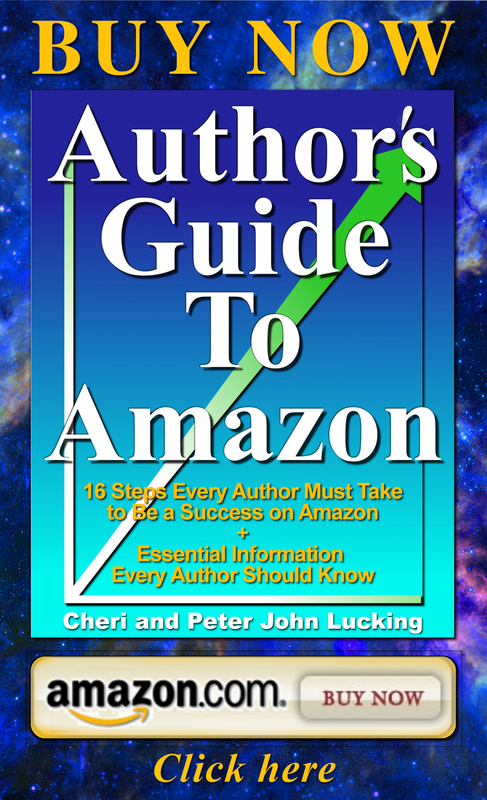 Read this Award winning Amazon Best Seller to your kids this Christmas. 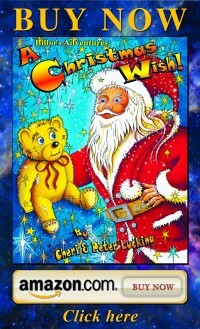 This fully illustrated 16 chapter book provides a bedtime story for the nights before Christmas. 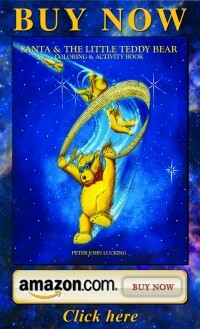 The Folktale of Santa comes alive in a magical adventure about a teddy bear whose wish is to be a special gift. 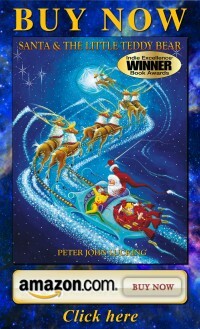 Includes lyrics to your favorite Christmas Carols, and beautiful full-color illustrations. This limited deluxe edition makes a family tabletop gift for all ages. 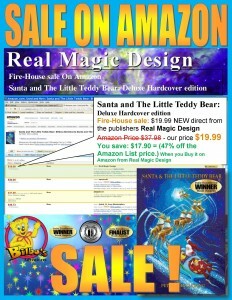 Christmas book, Santa & The Little Teddy Bear is a Christian Children’s book now on sale at a holiday gift price. A kids Story book for all the family, from Real Magic Design.